Hello, EpicDuelists! No release this Friday as we continue to stock up content and ramp up on BioBeasts. However, we do have a restock of all Limited Quantity Shops at 10 AM and 4 PM EST. If you don’t know what time that is for your time zone, there are handy conversion guides available online. I will also likely Tweet before it is time. Getting the items before they’re gone is hard for some, but such is the nature of the LQS. Good luck, and happy shopping! 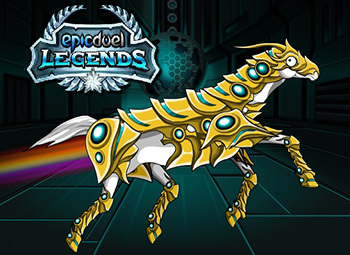 Coming up in EpicDuel in the coming weeks is the next showcase shop featuring Bido (formerly Bidoof). 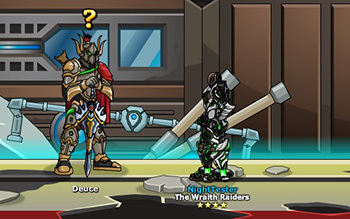 This will feature, like Deuce’s shop, a new NPC, new weapons, items, an achievement, and more! 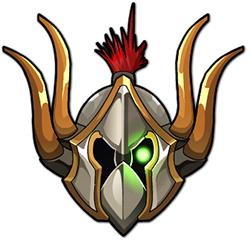 We’ve also got more missions from Ranloth, SSM, and OWA revealing the backstories of some of EpicDuel’s most popular and mysterious NPCs! We’ve also got a Central Station war on the horizon which will be the final war in this cycle before we return, at long last, to the Dread Plains! 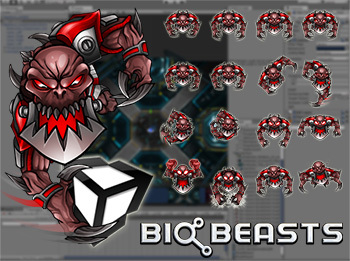 Did you know the EpicDuel team is working on a new mobile game called BioBeasts? You can learn more about it by check out the Official BioBeasts website or following the development process on Facebook and Twitter! The release date nears with every passing day, but it's not too late to join the conversation and contribute your thoughts to the development process! Who knows? We may use your beasts idea in game! This Friday, we are excited to introduce our first in a series of artist showcase shops! This week, we'll be featuring Guest Artist: Deuce! This mysterious warrior, tired and weathered from years of torment and battle, recently arrived in a remote and forgotten portion of Delta V! In the old, forgotten Minestation, Deuce wanders, looking for clues to his mysterious arrival and the cause of his lack of memories of his past. 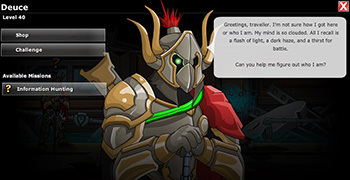 Speak with him to assist him is a series of brutally challenging missions (created with the assistance of Guest Writer Ranloth) or partake in his shop of signature items. Deuce somehow found time in the Void to handcraft these items and they all reflect his unique style. At least, that's his story. He may have "borrowed" them from some fellow travellers in the Void. 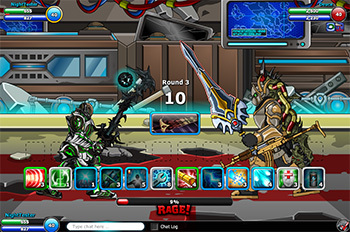 If you're feeling tough, you can challenge Deuce to a 1-on-1 battle for new boss achievement! He won't give up this achievement easily -- his mind may be clouded, but his skills in battle are razor-sharp! He may have a weakness, though. 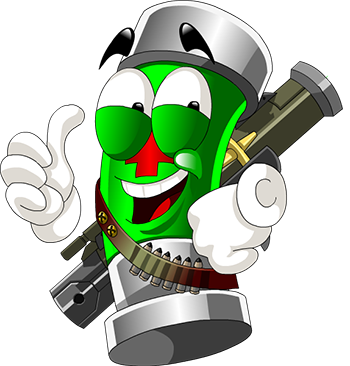 Be sure to say, "Hi" to Deuce if you see his real persona in game. Again, this is the first of several Guest Artist showcase shops this summer! 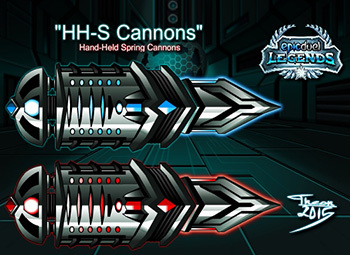 Our Guest Artists and Guest Writers have contributed so much to EpicDuel since the programs inception. They make these releases with loads of quality content possible. It has been truly inspiring to watch their progress as artists and writers through the weeks, months, and (in some cases) years since they joined the team. We are truly thankful for all of their hard work and tireless dedication to building the world of Delta V! This Friday, we'll be tying up loose ends from the Legendary update with balance improvement, bug fixes, and a hearty update to the Legendary shops! 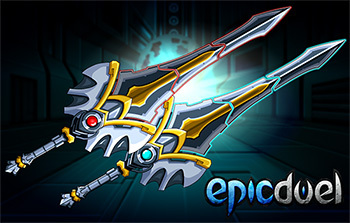 Live Now: EpicDuel Power Weekend! Get double experience and credits all weekend long! This is a great way to build Legendary ranks quickly and dominate your foes. That buff will help prepare you all for another BIG update next week featuring new items, NPCs, missions, balance changes, and bug fixes! 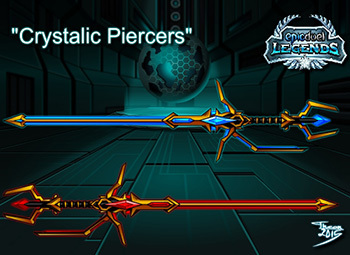 Last week was a MAJOR update, but there are still items that didn't quite make it to the Legendary Shops. 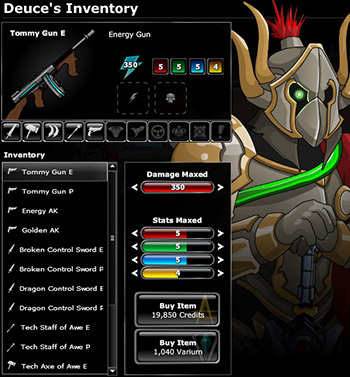 These items from Hatred Cuirass, Theon, and Assassin Order will be added next week! We will also be addressing some lingering issues from the Legendary update, including bug fixes and further balance adjustments! Next week we will also be introducing our first artist showcase featuring Guest Artist Deuce! 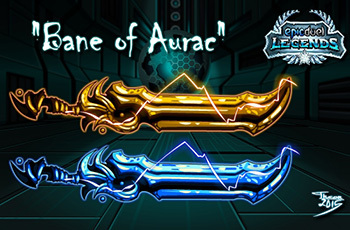 Look for his NPC in Delta V with a hearty stock of new Blade of Awe-themed items! He will also have some challenging missions to test your worth. 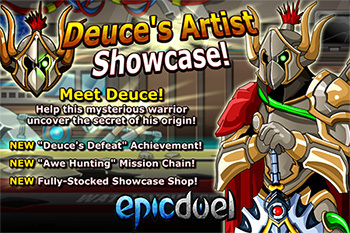 Follow Deuce on Twitter for more previews of his spectacular showcase! 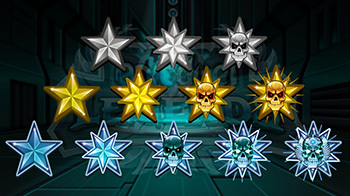 Last week we released the hardest boss in game: Legendary Titan. We honestly weren't sure if he was actually possible to defeat and the initial impression was that we possibly overshot his stats. As usual, you exceeded our expectations and brought the demi-god down! Congratulations to the following duelists who claimed the Legendary Titan achievement with their incredible combat prowess! This Friday, prepare for a Legendary update! 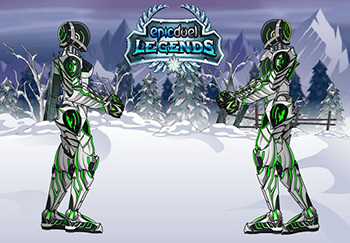 New Legendary stats, new achievements, new Legendary gear, and a new Legendary boss are coming to EpicDuel! Near Titan's lonely home in Frysteland, new shops have spawned that are only accessible by those deemed worthy. 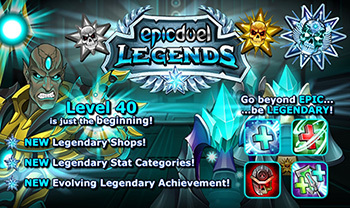 In these shops, Legendary players will be able to access up to three tiers of Legendary gear. The following is just a small sampling of the amazing content created by our talented Guest Artist team. Don't worry, there's a "normal" variant of the war horse as well. 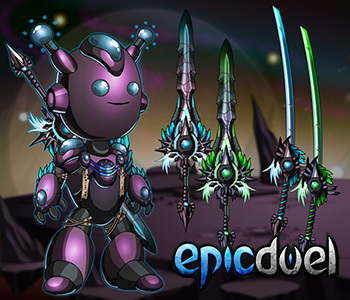 These shops will be expanded over time to continually offer the the most epic gear in Delta V. We'll try to keep the updates rares, but of a very high quality to prevent the shops from being diluted. There's also a chance items will be rotated out of the shops to make room for more items. Rank up with the new Legendary achievement! Show off your status by evolving your achievement all the way up to the 12th tier! This tier is worth a nice tidy sum of Rating Points. Can you reach it? Titan has been working out to a steady regimen of double bacon cheeseburgers and lifting mountains, and he's ready to crack some skulls. Challenge Legendary Titan at your own risk. He was designed to be the most challenging fight in the game. Triumphing over this impressive foe will reward you with a Legendary Titan Achievement! As mentioned before, Underdog Mode is still in progress. We're vigorously testing and reworking the numbers to make sure it's strong enough to be noticeable, but not so strong that it negates the level advantage of the stronger opponent. More specific numbers will be avaible in the patch notes.